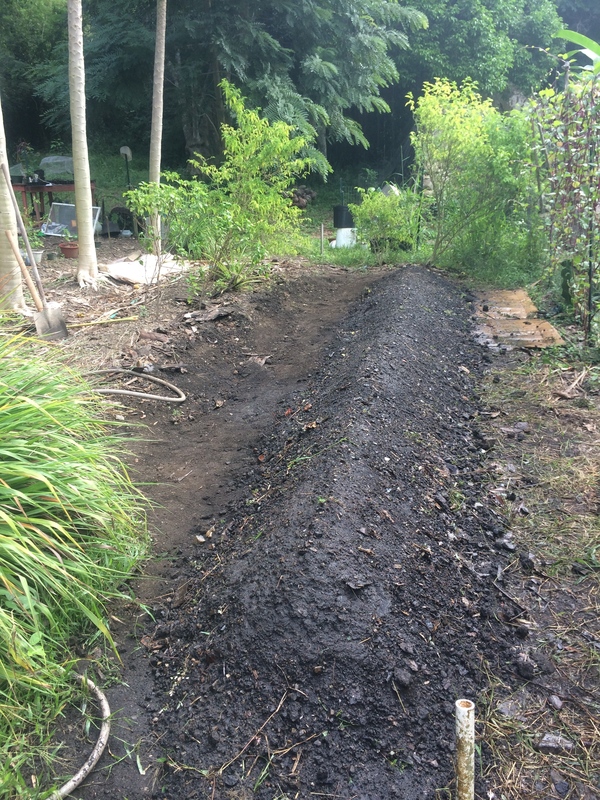 Thanks to our last WWOOF volunteer, Hannah, I am able to present a step-by-step photo tutorial of how we built our Hugelkultur-inspired garden beds! 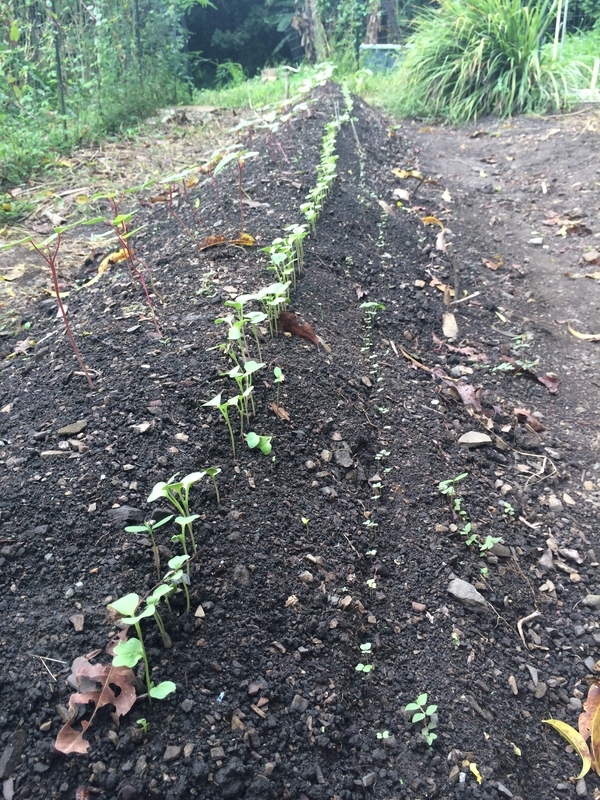 The initial one has been planted for about 6 weeks now, and is already bearing okra, several types of greens, and sorrel (a flower that is used to make tea or jam), with several more things on the way. Several other beds are coming along with beans, peas, radishes, turnips, more greens and okra, herbs, etc. 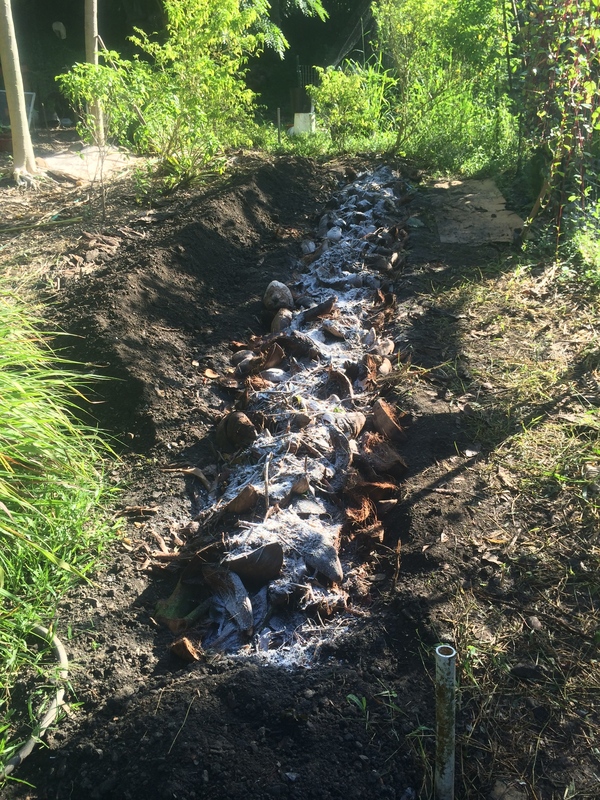 The raised beds have several advantages: they are actively composting from within, providing nutrients to the plants, they are aerated from within by the large logs and compostable materials, and the open spaces within serve to hold moisture during dryer periods. So here we go! 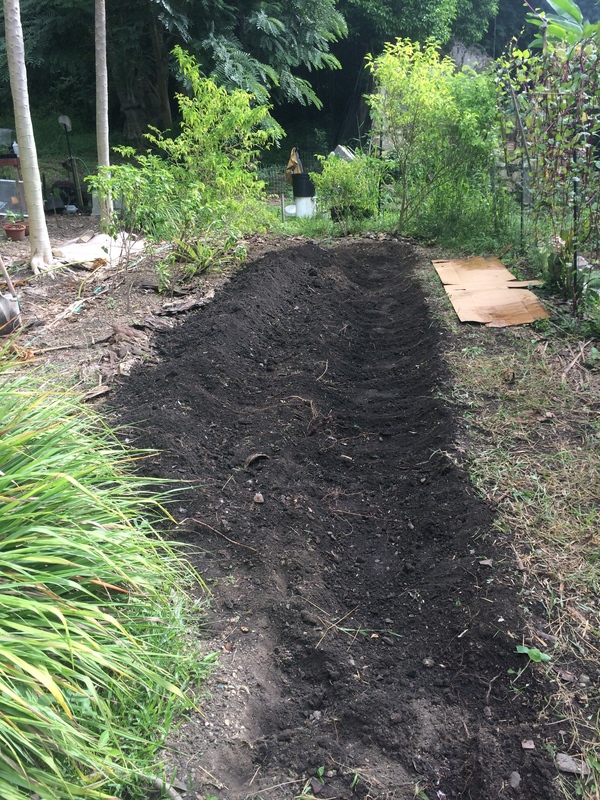 6″ deep trench, with the soil reserved to one side. 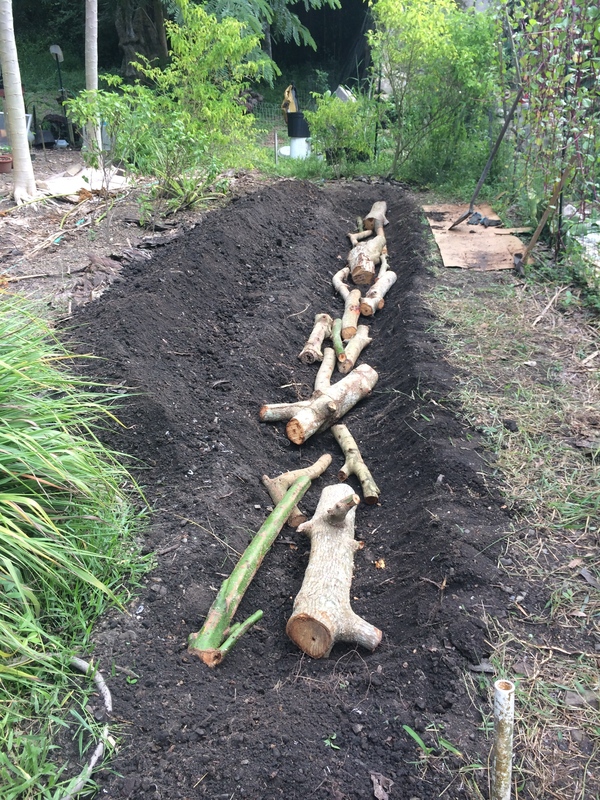 Logs laid in the trench – avocado trimmings, not useful for the oven due to termite attraction as they dry if left above-ground. Leaves and other brown matter. Soil added back on top, ready to plant! Tall plants up the center: okra, basil, peppers. 2-3 rows up the sides of lower plants: radish, daikon, lettuce, etc. This photo was about 3 days after planting. In other news, the Nid loft floor is in! The roof edge is done! Except for under the eaves outside..Tomorrow (weather permitting) we’ll be waterproofing the roof, and then by the weekend I hope to move in! Still to do are doors, the kitchen counter (including the sink), the living-room bench, some cement touch-ups here and there, and lighting. It’s a really exciting stage to be at, and I can’t wait to be sleeping under my very own roof. 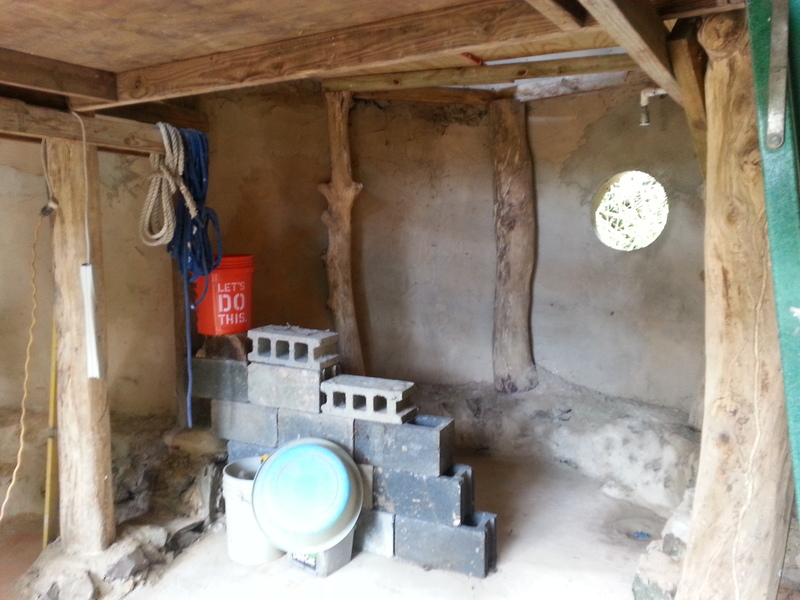 Looking into the bathroom – temporary half-wall/concrete block storage. Hope you enjoyed the little how-to! 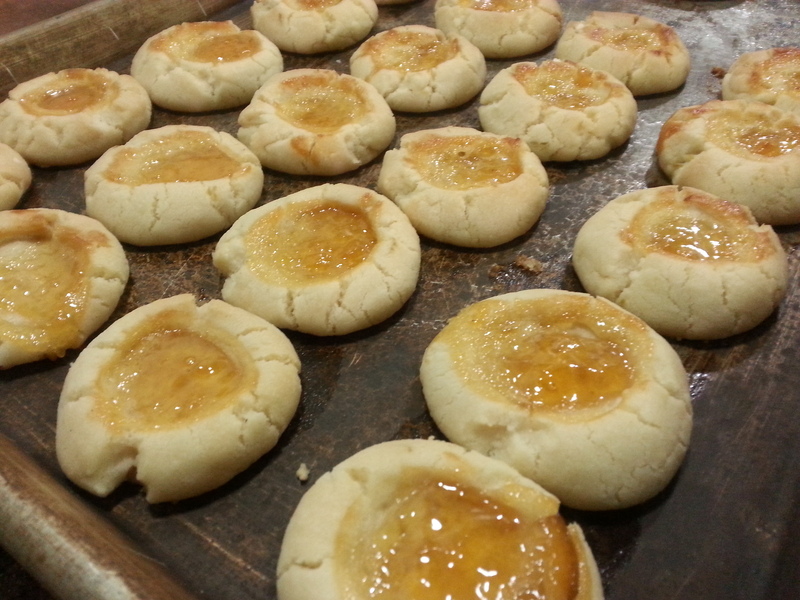 We’re accepting orders for Wednesday baking for pick-up at Little La Grange or Cruzan Gardens, with a holiday special of Sourdough Sweetbread with Nidulari Marmalade at $13/loaf. Cheers! Ahhhh, it looks so good! I can’t wait to see fully completed pictures, Pinterest worthy furnishings and decor included. Ahh, you have such faith! Furnishings and decor will be a while in coming…unless of course you come down and help! The bed looks short but fairly wide. Can you tell the rough dimensions please? I’m guessing not more than 50 cms high (from the bottom of the trench) and somewhat less than 2 meters wide. Do you have to step on the bed to pick from the center? I’ll probably start making a bed or two very soon, in southern Thailand. 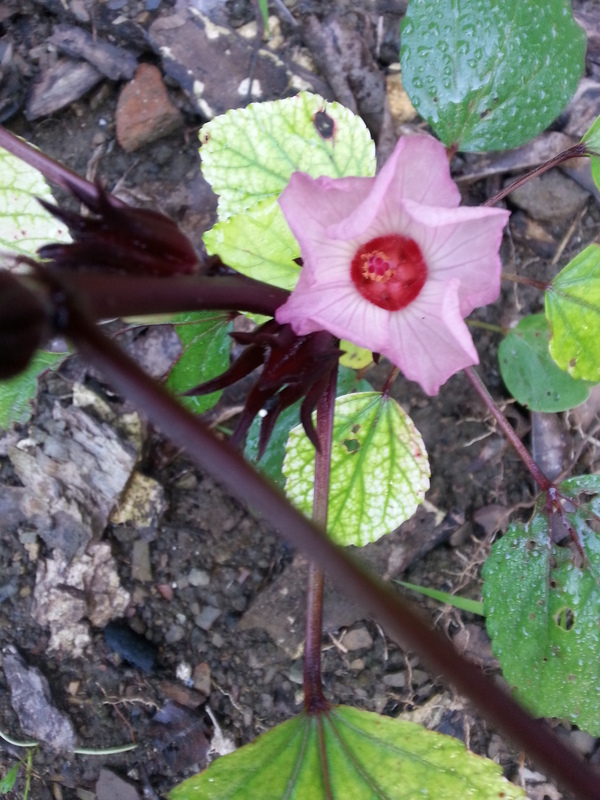 There isn’t much info on sub/tropical hugelkultur so I appreciate this post. I’ve done lots and lots of reading about it so I can understand the theory and details well. It’s part of my master’s thesis. These beds are about 15 feet long, and started out about 2-3 feet wide and 12-18″ high. In my understanding of the hugelkultur concept, larger would be better. I had limitations in labour and materials, particularly top soil with which to cover the mound. Turf was not available, which would have stabilized the system. A year in, I find that the beds dry out easily (we are in the midst of a severe drought) and the soil tends to wash away. 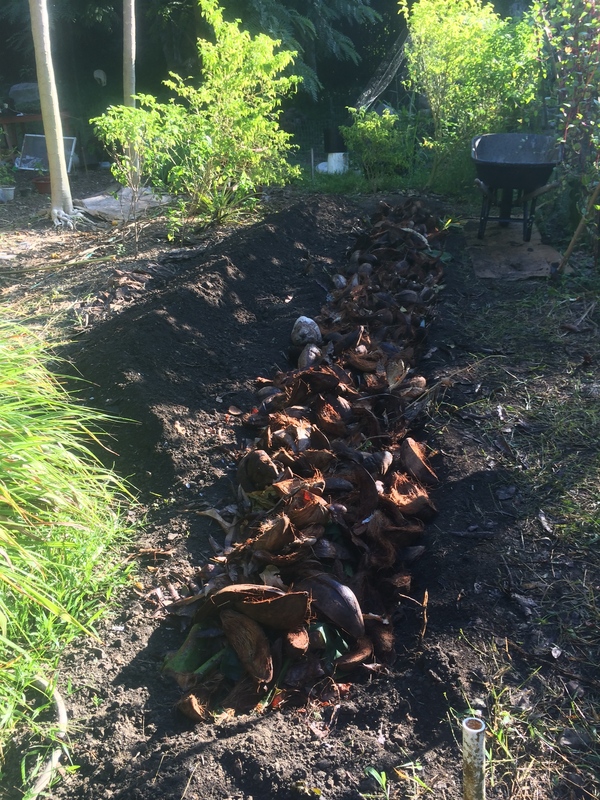 More successful have been my small circular beds, dug out 8″, filled with coconut husk, topped with a generous layer of compost then the soil replaced with additional compost mixed in. Only problem (with both methods) is that rats love to undermine the beds, disturbing the roots of the plants. Hope this helps. My latest bed uses the above method, but is 7′ x 2.5′ rectangle with a bamboo surround….so far fairly successful. Thanks for this :) I’d love to see pictures of the “failures” and the gigantic 7-foot bed! I guess the rats aren’t able to get through the bamboo siding. How much wood are you putting into this bed, and how much soil are you topping it with? I’d love to know more about this one. Only tall beds like this I’ve read about are in colder climates. How old is this bed? The bamboo will rot at the base after some time so I’m curious how you’re preventing delaying that. I’d love to know more about this. I’ll try to get some photos to you soon. 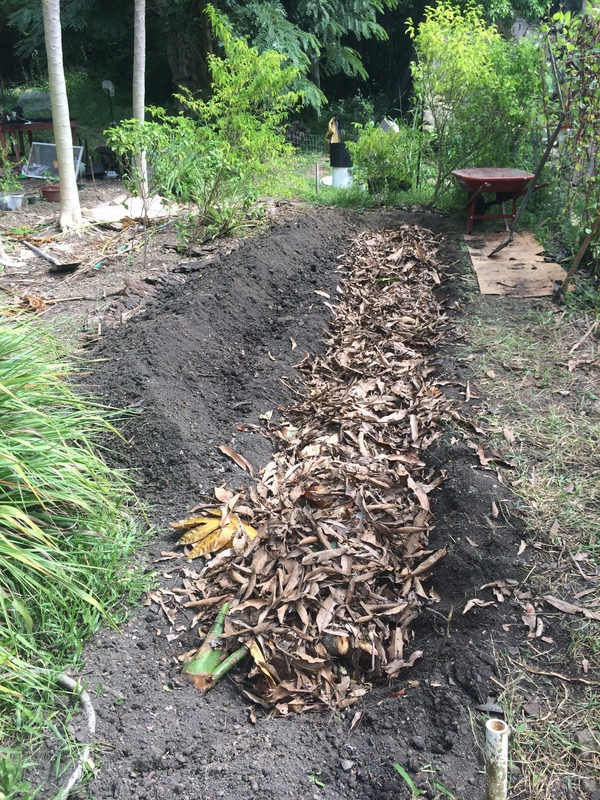 The large bed does not have any wood, only coconut husks (about an 8″ deep layer) and compost. It’s covered with about 6″ of compost-rich topsoil. 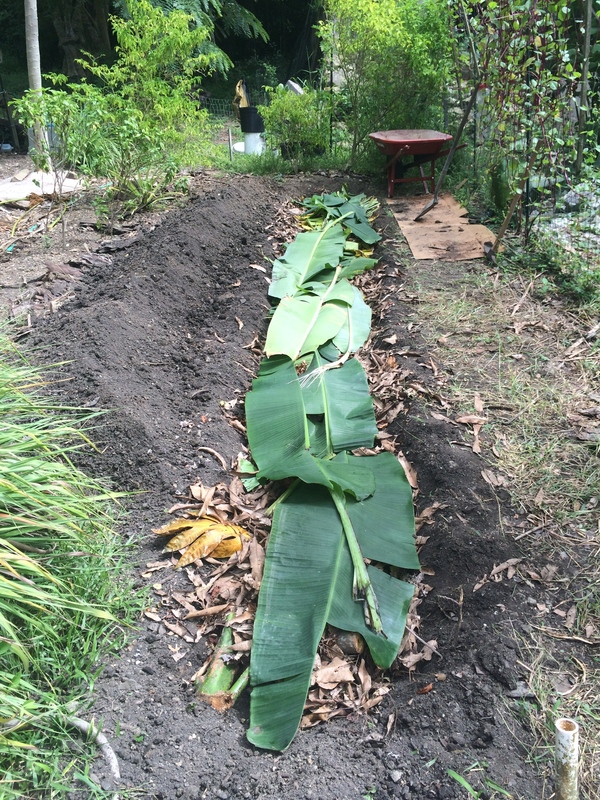 The bed is only raised about 8″ from ground level, as the coconut husk layer starts 8″ underground. With more materials it could have been raised higher. 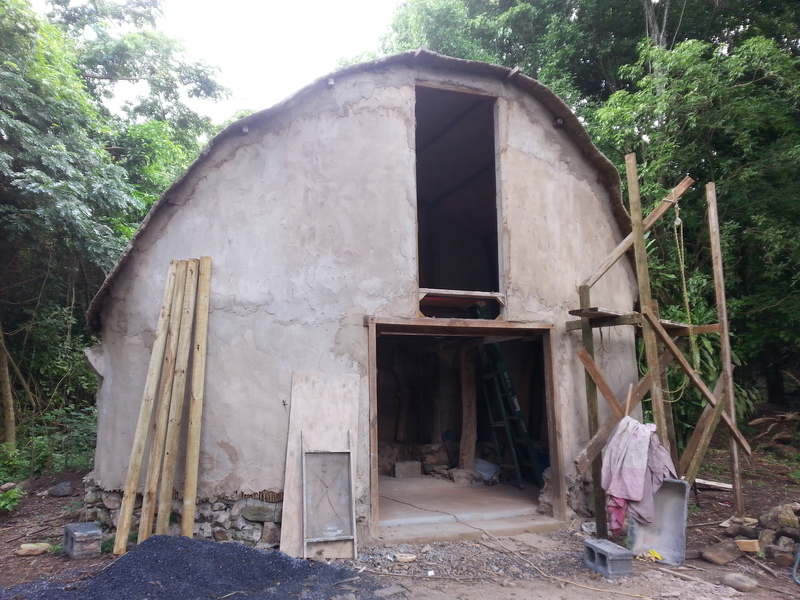 The structure of the coconut husk serves to retain moisture and aeration, and should break down fully in 2-3 years. The bamboo surround is merely staked in place and may be easily replaced if needed. The rats do get in underground still – perhaps I just need to get a cat! This bed is in it’s first season, smaller versions are in their second season. Overall, I think that taller/larger beds would only be practical with a great deal of excess materials (wood, straw, topsoil) and heavy machinery with which to dig major foundations and replace sufficient soil on the beds. But that’s just my view on it!